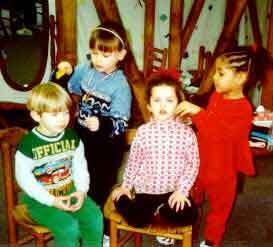 A class of 3- to 6-year-old children in a midwestern child care center chose to study hair and hairstyling salons as a group project. This article discusses how the project evolved, describes the three phases of the project, and provides the teacher's reflections on the project. Photos taken during the project are included. 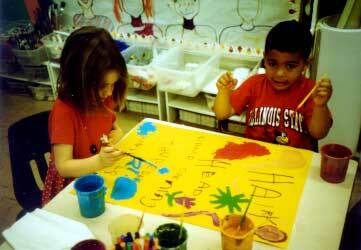 Illinois State University (ISU) Child Care Center serves 2- through 6-year-old children of ISU students in a full-day setting. One classroom serves 2-year-old children, and one is a mixed-age classroom that serves 3- through 6-year-old children. The Project Approach is used as the basis of curriculum in both classrooms. 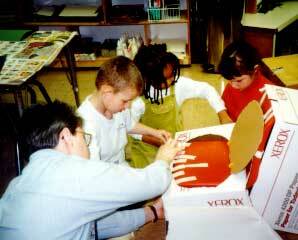 We began using the Project Approach in the mixed-age classroom in 1996. 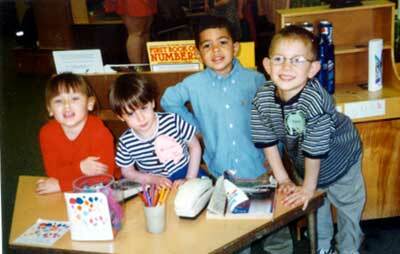 The mixed-age classroom enrollment is 20 to 25 children each semester. There are three head teachers who team-teach in the mixed-age classroom, along with teacher aides who are college students. 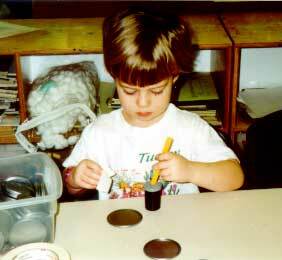 The Hairy Head Project was conducted in the mixed-age classroom. The majority of children attended for the full day, 5 days a week. 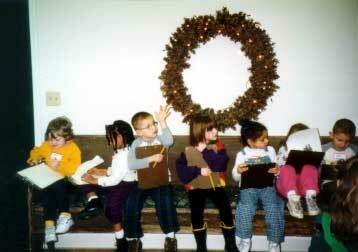 Many of the children had attended the child care center for more than 1 year. Most of the children in this class had been involved in project work either the previous semester or the previous year. Fourteen girls and nine boys were enrolled at the time of this project. At the beginning of the project (in February), we had ten 3-year-old children, eleven 4-year-old children, and two 5-year-old children. By the time the project finished (in May), we had celebrated a number of birthdays, so we had six 3-year-old children, eleven 4-year-old children, and six 5-year-old children. The youngest child at the beginning of the project was 3 years 3 months. The oldest child at the beginning of the project was 5 years 6 months. The teachers chose to do a project on hair and hair salons based on a spontaneous discussion that developed one Monday morning. Many children had received hair cuts over the weekend. During Morning Meeting (a time when the children and teachers discuss the current project and share information about project work), the children began to discuss their haircutting experiences. A majority of the class took part in the discussion, remembering their own personal haircutting experiences, siblings' experiences, or parents' experiences. This particular discussion alerted the teachers to a potential project topic. The teachers began their own discussion about beginning a project related to hair and hair salons. We had noticed that the children regularly requested the hairstyling dramatic play kit that was available in our classroom. We felt that the children had an interest in hairstyling. 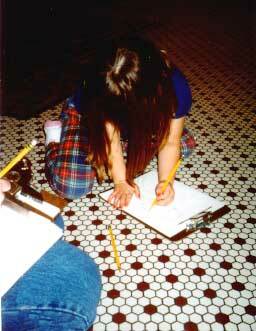 The teachers were confident that the hair salons they frequented would be open to having young children visit to do fieldwork. 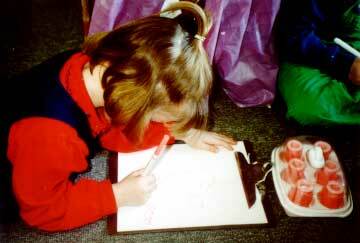 They also felt that this topic was well within the realm of all the children's experiences. Morgan (4.7 years), Kathy (4.9 years), Marta (3.8 years), and Susan (4.8 years) played with the hairdresser dramatic play kit. The class interest in using this kit motivated our decision to begin a project on hair and hair salons. Phase 1 sometimes includes discussions of experiences, sharing knowledge and wondering out loud, raising questions, and preparing letters to parents. The teachers and children shared their personal haircutting experiences (most of these conversations were taped and transcribed as part of our ongoing documentation). Through the various discussions, we were able to formulate questions that would be answered in Phase 2. The teachers began writing down the questions. The teachers wrote down the children's ideas about the topic in the form of a web. Plans were made for some beginning activities related to hair and haircutting. Haircuts and hair salons became the topic of a number of interesting discussions held during Morning Meetings. The teachers encouraged the children to talk about their personal haircutting experiences. 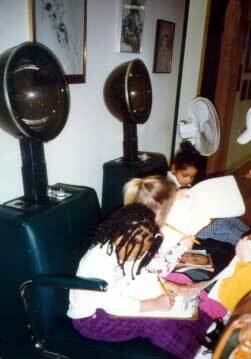 Many of the children described the waiting areas of the hair salons where they got haircuts. The teachers encouraged the children to describe where they sat during the haircut, what the cutting stations looked like, and what happened when their haircut was finished. By listening to the children, the teachers began to understand the types of knowledge the children had regarding hair and hair salons, as well as areas where there were gaps in knowledge or misinformation. 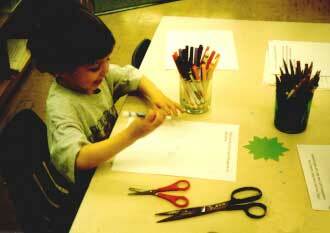 We found that the children were very observant with regard to the waiting area and the cutting stations. Most of the children did not understand that people paid for their haircuts. The majority of the children talked about getting a lollipop and then leaving once their haircut was finished. 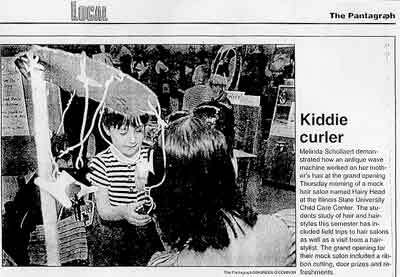 Laura (4.11 years): When my brother was getting his haircut at the mall, they put blue water on my brother and gray water on my hair. Peggy (3.5 years): They put red water on my hair. John (3.11 years): Why do they do that? Peggy: They just put red water on my hair so they can cut it. Mary (3.9 years): They used white water at my place. Barb (teacher): Maybe we should ask someone who cuts hair why they use colored water. We could invite someone who cuts hair to our school and ask them questions. Once the children became focused on hair and haircutting, we began to develop activities that might encourage continued discussion and sharing of personal experiences. Some of the children used magazine photos to make a hairstyle collage. A small group of children graphed the results of the survey question: "What color is your hair?" Peggy (3.5 years), Anne (3.11 years), and Hilary (4.7 years) worked with Barb (teacher) to set up the "What Color Is Your Hair?" graph. Anne is copy writing "red." Nancy (4.7 years) is asking John (3.11 years) about his"true" hair color. 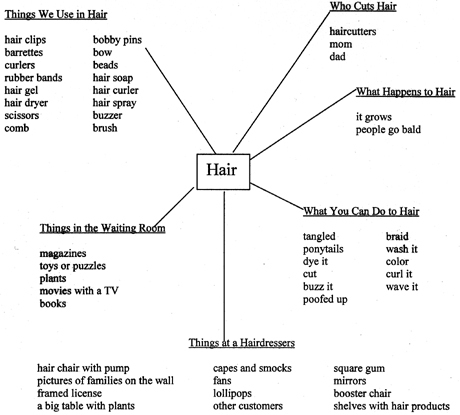 The class created an idea web about hair. 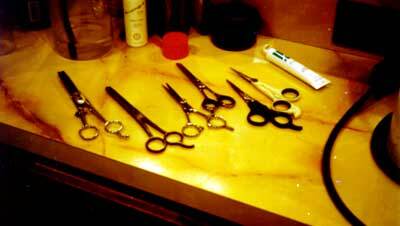 We found that the children have a large knowledge base related to hair salons and haircutting. They are very anxious to create a hair salon in the dramatic play area. 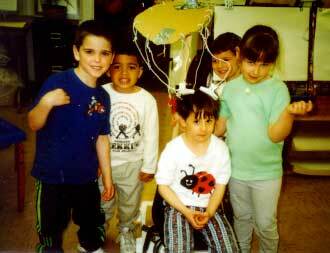 As we created the idea web, it became clear that the children knew a lot about what hair salons looked like inside. Possibly as a result of creating an idea web, which helped organize the children's thoughts and ideas, the children decided they would like to turn the dramatic play area into a hair salon. 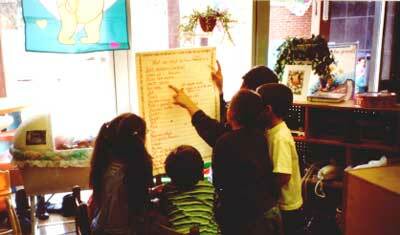 After the list was created, the teachers asked the children how they would be able to get all the items they listed. 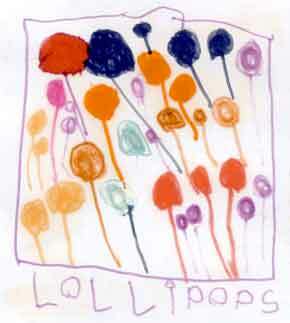 The children decided that they could make pretend lollipops with materials we already had at the child care center. One child commented that she had an empty shampoo bottle at home. As the children talked, they began to realize that their families could serve as resources and advisors. Another child suggested writing a letter to parents and friends asking for items for the hair salon. 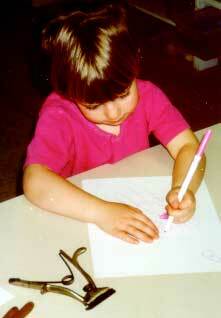 A small group of children volunteered to write the letter. Nancy (4.6 years) and Laura (4.11 years) made notes about the parent letter they were helping write. Another small group worked on making play lollipops for the hair salon. The children created lollipops using empty film containers, Popsicle sticks, masking tape, and tissue paper. They also made lollipops using juice can lids wrapped in tissue paper with Popsicle sticks taped to the lid. One child drew a picture of lollipops for the front of a clear plastic storage container that would become the lollipop jar. Mary (3.9 years) is focused on creating a lollipop. 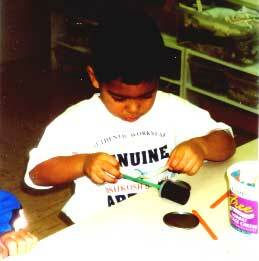 David (3.7 years) is trying to attach the stick to the film canister. Once the children began bringing items from home, a group of children worked on rearranging furniture and making a hair bowl for the hair washing station. 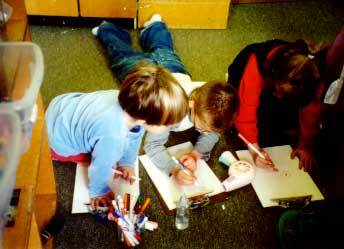 The "What We Need to Have a Hair Salon" list became a guide or plan that was followed when a small group of children and one of the teachers began rearranging furniture. As the furniture was moved around, the children and teacher often referred to the list to make sure we included space for everything. A group of children review the "What We Need to Have a Hair Salon" chart as they make decisions about moving furniture in the dramatic play area. William (4.10 years): But we need a paying room. Should we have the keys for the person who owns the place? Should they have the keys to get in here? Colin (5.6 years): In case the door's locked, so no one can get in to steal stuff. Colin: We need a bathroom because sometimes when you're getting your hair done, you need to go to the bathroom, and they have their own. William: And a sink because we don't want the germs. As more items accumulated, the children decided to make labels for the shelves and containers in an effort to organize their hair salon. We received an amazing variety of items. It became clear that individual families were able to reflect their ethnicity and personal experiences through their donations. One African American family donated a number of hair magazines that showed a variety of hairstyles for African American men, women, and children. Anne (4.2 years) waited for an appointment at the hair salon. 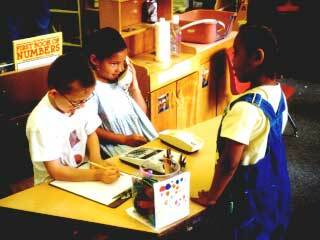 William (5.1 years) helped Anne, while Morgan (4.11 years) answered the phone. This is the sketch of lollipops you can see on the front of the lollipop jar that is sitting on the reception desk in the hair salon. By the time the hair salon began to take shape, the children realized that you have to pay for your haircuts. One girl and her father made checks on their home computer for the children to use when paying for their hair services. We found some old checkbook covers and old wallets for the children to use for their checks. At first, our Morning Meeting discussions related to haircutting were short and not very rich. It took a couple of days before the children really began to share information. The teachers made an effort to focus on the bits of information we were hearing. We began to formulate questions that would probe and prod the children to think more deeply about their experiences with haircuts. After a couple of days, the children began to stimulate each other. The children asked questions and encouraged others to tell about their experiences. We were glad that we had not given up after the first couple of discussions. The children were very enthusiastic about redesigning the dramatic play area. They would have moved furniture the very first day if we had allowed them to do so. We took the opportunity to talk with the children about formulating plans and making lists. As described earlier, we discussed all the ideas the children were sharing and suggested writing their ideas down before we actually started moving furniture. As we helped the children organize their thoughts by creating the "What We Need to Have a Hair Salon" list, the children began to realize how useful this list could be. When the time came to move the furniture, the children made sure we had the list on a clipboard. They checked off the items as they were accomplished. The group who wrote the parent letter also referred to the list. Taking the time to create lists and plans proved to be a very valuable experience for the group. When we began planning the culminating activity, the children created lists and an overall plan with ease. Encouraging the children to slow down a bit also provided the opportunity for us to include parents. 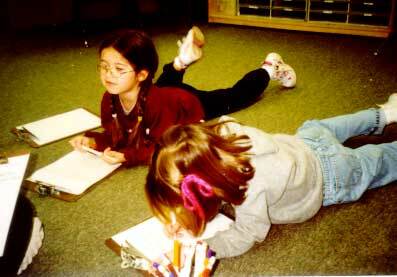 Phase 2 sometimes includes conducting fieldwork, discussing activities that are taking place in small groups, investigating questions that were formulated in Phase 1, visiting experts, representing information children learned during their investigations, and creating displays to share their new knowledge. Chris, one of our teacher aides, informed us that his mother was a hairstylist who ran her own shop in a small town near the university. Chris invited his mother to be a visiting expert. He also said that he was in need of a haircut, so the two of them decided to cut his hair at the child care center while the children watched. Do you use a buzzer? Do you use any combs in Chris's hair? Do you use special brushes? Do you give kids treats if they sit still? How do you give a permanent? Do you spray colored water on people's hair? Do you use hair dryers? Do you use curlers on hair? Do you use curling irons? 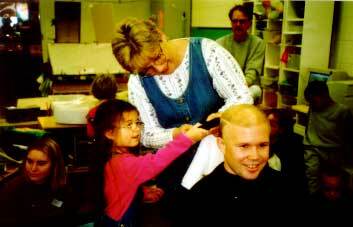 On the day of the visit, Tina, the hairstylist, allowed the children to help her use the clippers on her son's hair. Nancy (4.7 years) took a turn to use the clippers on Chris's hair. Tina helped James (4.7 years) clip a section of hair. She answered the children's questions and shared other information. She brought along some antique curling irons (the kind that were heated in a fire) and hair clippers. The children found these items very interesting. Tina did answer the question about colored water that had come up earlier in the project. She told the children that hairstylists just use regular water to wet hair for cutting, but they use a variety of colored bottles to hold the water! Sketches of Tina cutting Chris's hair. After the visit, the children dictated their memories of the visit and drew pictures that we included in a thank-you card to Tina. 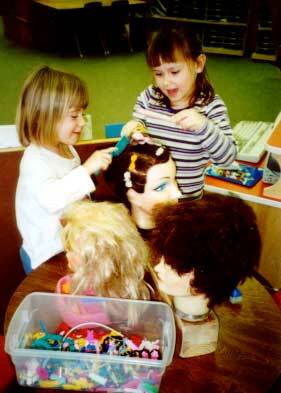 The dramatic play hair salon continued to be a popular spot. The children realized that cleaning up the hair salon was not easy. Everyone put items in different places, and some children were becoming upset when they tried to play in the area and could not find what they were looking for. 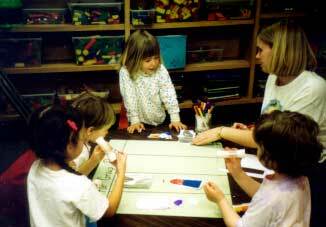 A small group of children worked with a teacher to organize items using small plastic bins. The children drew pictures of the items in each bin and copied labels on the pictures. We color photocopied the signs and laminated them. We mounted a sign on each bin and a matching sign on the shelf where the bin should be placed. Laura (4.11 years) drew a label for the curler sets. These labels were placed on the shelf where the curler sets should be stored. Mary (3.9 years) took a break from her drawing of the curling iron to see how William (4.10 years) and Laura (4.11 years) were doing. 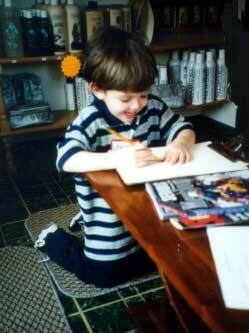 William was drawing the hair spray bottle, and Laura was drawing the hair dryer. 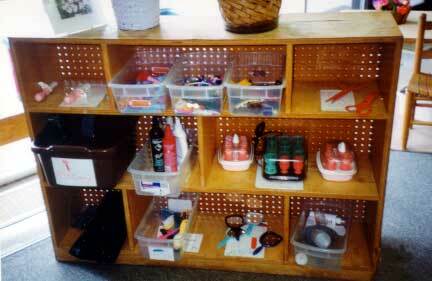 The children organized the hair salon bins and shelves with labels. We taped curlers and barrettes to the front of the storage bin for those items. Sketches used to organize the hair salon shelf. The preschool teacher at the lab school on our campus loaned us some mannequin heads for the hair salon. 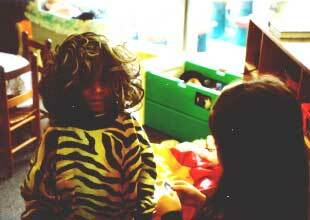 The children spent many hours styling the hair on the mannequins. Marie (4.6 years) and Kathy (4.9 years) put barrettes on one of the mannequins. One of our parents, a physics professor, brought in a Van de Graff generator. He explained how hair is affected by electricity. When the generator is turned on, a mild electric current flows causing hair to stand on end. The children (if interested) were able to sit on a little stool and place their hands on the large metal ball of the generator. This experience was an interesting digression from our hair salon discussions. The teachers set up visits to two different hair salons in our community. At a parent meeting, one of the parents told us that a local restaurant had an antique barber chair and an old-fashioned permanent wave machine in its lobby/waiting area. We called the restaurant and set up a visit for the Old Tools Group. Prior to visiting field sites, each group met a number of times. The children created a plan and formulated questions to ask at each site. Each of the three head teachers supervised a specific group for the remainder of the project. Usually, a head teacher met with two different groups each day. The groups reported their progress and plans to the whole class at Morning Meeting the following day. During the actual fieldwork, we took representatives from each group to each site. 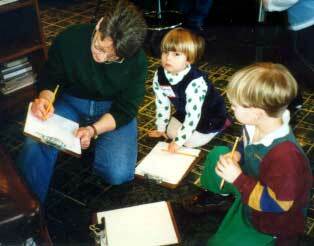 The children asked questions, made sketches, and gathered other information. These representatives reported back to their group on their findings. 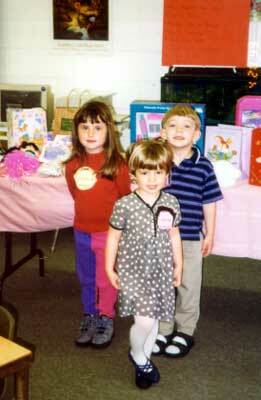 Each child at the center visited one site—Fox and Hounds Hair Studio, Creative Cuts, or Henry Wellington's Restaurant. The teachers took pictures at each site. The children found a bench to sit on while making field sketches at Fox and Hounds Hair Studio. Anne (4 years), Marie (4.7 years), and Sherry (3.11 years) used the hair dryer chairs while making sketches of mirrors at Fox and Hounds Hair Studio. This cutting station is at Fox and Hounds Hair Studio. We had to do research to learn that the shape of the mirror at this station is called Palladian. These mirror sketches were made at Fox and Hounds Hair Studio. Laura (5 years): The circular drawing is a table in the front of Fox and Hounds Hair Studio. The square drawing is where the people sit when they get their hair cut. Morgan (4.10 years) and Nancy (4.8 years) talked to Jennifer (teacher) about the list of questions they were trying to get answered. 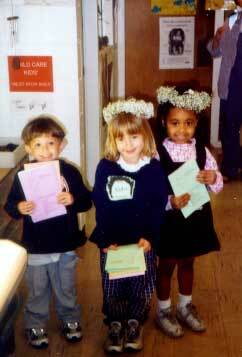 Barb (teacher) wrote down information for Mary (3.10 years) and Morgan (4.8 years). Morgan's clipboard is full of numbers he had written. He wrote down all the costs for services at Creative Cuts as Barb read them from the sign in the shop. Ian (4.1 years) made sketches of the people waiting to get their hair cut. When the children asked her questions about scissors, one of the hairstylists laid out all the different scissors she used. Jeff (4.8 years): Oval mirror in the bathroom at Creative Cuts. Morgan E. (4.8 years): An oval mirror in the bathroom. Colin (5.7 years) made a sketch of the old-fashioned barber chair. 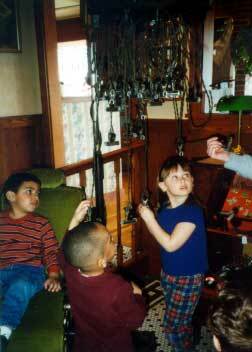 While David (3.8 years) tried out the barber chair, John (3.11 years) and Kathy (4.10 years) looked at the permanent wave machine. Kathy (4.10 years) made a sketch of the permanent wave machine. Kathy (4.10 years) drew flowers on the end of the permanent wave machine wires instead of clips. Colin (5.7 years) also drew the permanent wave machine. After site visits, the children dictated and decorated thank-you notes to the people at each site. Each group then began to make plans for representing their new knowledge and for sharing this knowledge with classmates and parents. The Bathroom Group decided to create a bathroom in a large crate in the hair salon in the dramatic play area. The children built a toilet, sink, and shower. They also decorated the walls with artwork. The artwork decorations were based on the murals in the bathroom at the first hair salon we visited. James (4.11 years), Anne (4.1 years), and Hilary (4.8 years) were working on turning a chair into a toilet. They used a box for the tank. They also cut apart another box to form the toilet seat. They added a handle using a piece of wood. An interesting interaction took place between two children during the bathroom wall decorating. James, who usually chose physical activity over artwork, noticed and commented on the butterflies that Hilary was drawing. 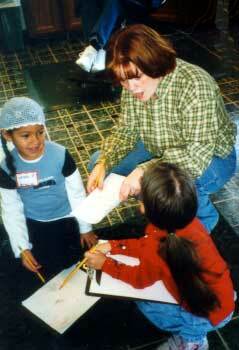 Hilary was very involved in drawing, quite often by herself, and did not spend a lot of time playing with groups of children. Hilary graciously accepted James's compliment about her butterflies. James then asked if Hilary could teach him how to draw butterflies. Hilary willingly took on the task, and the two children spent some high-quality time working together. This peer interaction might never have occurred if not for project work in our classroom! The Scissors Group wrote and illustrated a book about all the types of scissors used in hair salons. The children dictated the text. After Lisa (a teacher) had typed up their text and printed out the pages, the children drew the illustrations. 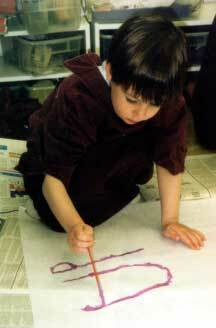 The children used real scissors and their fieldwork sketches as models. The book was added to the classroom library shelf. The Mirror Group created a chart about mirrors. The children divided the chart into categories: sizes of mirrors, shapes of mirrors, purpose of mirrors in hair salons, and locations of mirrors in hair salons. The children used aluminum foil wrapped around paper shapes to represent the different sized and shaped mirrors. Peggy (3.6 years), Nancy (4.8 years), and Marie (4.7 years) glued the mirrors they made onto the Mirror Chart. Pam (teacher) and Mary (3.11 years) supervised the Mirror Group's work. 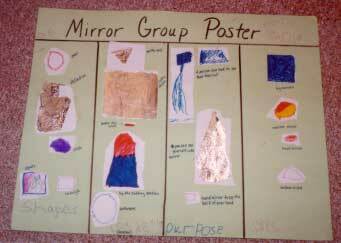 The Mirror Chart was designed and constructed by the children in the Mirror Group. 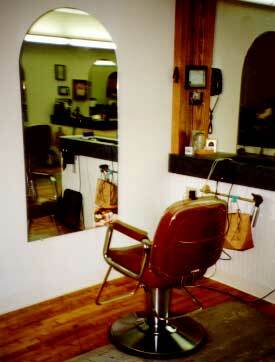 The chart shows shapes of mirrors, locations of mirrors, purposes for mirrors, and sizes of mirrors in hair salons. As you can see, the children used aluminum foil to represent some of the mirrors. They drew and cut out the mirrors while the teacher helped write the descriptions. The Old Tools Group constructed a permanent wave machine similar to the one they viewed at Henry Wellington's Restaurant. 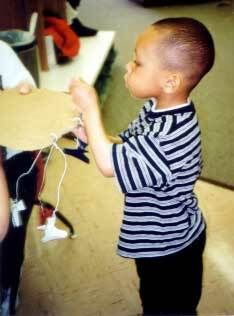 John (4.1 years) was attaching hair clips to the top of the permanent wave machine. The Old Tools Group posed with their finished permanent wave machine. The children at the center were able to explore the antique hair tools that Tina shared earlier in the semester when Chris brought the tools back. Many children (not just the Old Tools Group) made sketches of these hair tools. Mary (3.11 years) sketched the antique hair clippers. This is the sketch Mary was working on in the above photo. 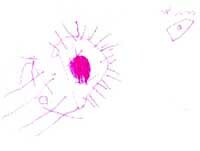 Marie (4.8 years) sketched the antique curling iron. The Cost Group made two charts showing prices for services at both hair salons we visited. These charts were used as guides to set the prices for the various services offered in our child care hair salon. The class voted on prices for our hair salon at Morning Meeting. We put up a chart, and the children helped write in the services and the prices. Morgan (4.9 years), Mary (3.11 years), and William (4.11 years) worked with Pam (teacher) to make a chart showing the prices for services at Creative Cuts Hair Salon. Marie (4.8 years) took a turn to write in a price on our hair salon price chart. The class decided to call our hair salon "The Hairy Head." A group of children created a sign that was hung over the entry to the dramatic play area. The children created this Hairy Head sign for the dramatic play area. The visit of the expert, Tina, really helped the project take shape. The children were very enthusiastic about learning more after Tina's visit. She provided hands-on experience, answered their questions respectfully, and provided new information that sparked a desire in some of the children to learn more. When we began to explore the idea of dividing into groups for investigation and fieldwork, the teachers were surprised at how easily the children decided on topics of interest. Only a few children had a hard time choosing the one topic they found most interesting. 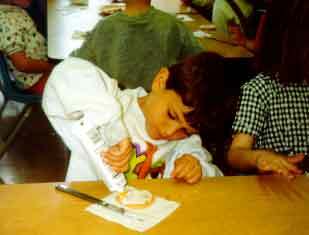 The majority of the children were able to immediately suggest a topic or choose a topic already suggested by a friend. There were a few children who made their choices based on a friend's choice, but generally, we felt each child chose a group based on a personal interest. Our hair salon field experiences were very different at each location. The teachers learned quite a bit from these diverse visits. 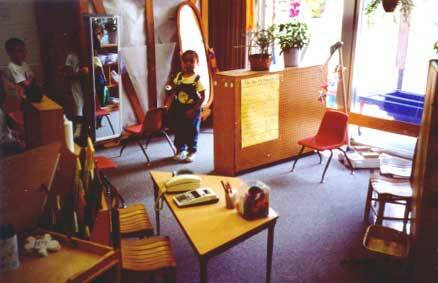 At the first hair salon, the owner gave the children a guided tour of the facility. This salon was quite large and included a nail section and a massage facility. The teachers helped the children ask their questions at appropriate times during the tour. We did take some time to make sketches and get other questions answered after the tour, but the children were beginning to tire and lose focus by the time we were able to make sketches. At the second hair salon we visited (a much smaller salon), the owner and other stylists greeted the children and continued their work. We were allowed to explore the salon at our own pace. 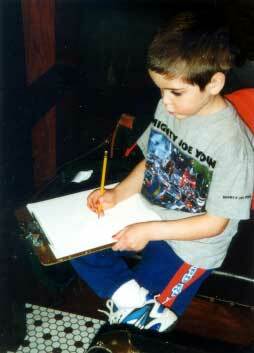 The children were able to begin making sketches almost immediately. When the representatives of each investigative group were ready, the teachers were able to help them ask their questions. All the employees made themselves available, so we were able to direct our questions to the stylist who was free at the time. We felt the visit to the second salon was much more successful in terms of the children's attention span and focus. The sketches made at the second salon were much more detailed. The teachers will use these experiences to guide our planning and preparation when setting up field experiences for future projects. We will spend a little time talking with the field site representatives explaining what we would like to accomplish during our visit. Phase 3 sometimes includes a culminating event, collaborative evaluation, further activities related to the topic, discussions around planning a culminating event, discussions about future projects, setting up displays for parents and other pertinent people to view, and soliciting comments from parents. The teachers and the children discussed ways we could share our project with our parents and others on our campus. We decided to hold a grand opening celebration for the Hairy Head Salon. The children divided into four committees to help plan the grand opening: decorations, door prizes, refreshments, and invitations. The decorations committee chose a rainbow theme for streamers, balloons, and table decorations. On the day of the event, they helped decorate. 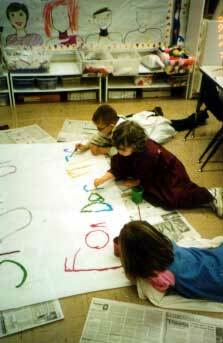 This committee also helped decorate signs announcing the upcoming grand opening. We hung the signs in the hallway outside the child care center and on the child care center door. 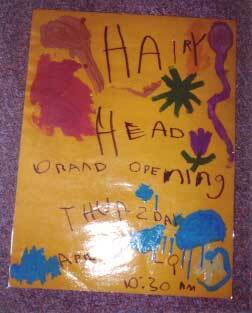 Laura (5.1 years) and David (3.9 years) decorated a sign announcing the Hairy Head grand opening. The finished grand opening sign. The door prize committee made a list of possible prizes. The children created tickets for guests to fill out and decorated boxes for the door prize tickets. The children on this committee also decorated a sign to hang on the front of the door prize registration table. The sign read: "Sign up for Door Prizes." 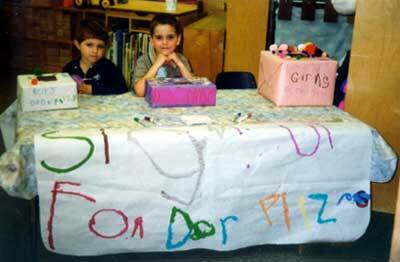 Diane (3.10 years) painted the word "up" on the door prize registration sign. Laura (5.1 years), Peggy (3.7 years), and William (5 years) worked on the door prize registration table sign. The invitations committee wrote and illustrated an invitation that was sent to parents, the staff of the hair salons we visited, and to friends of the child care center around our university campus. They also wrote a note to the chair of our college department inviting her to cut the grand opening ribbon. The invitations committee wrote and illustrated invitations. 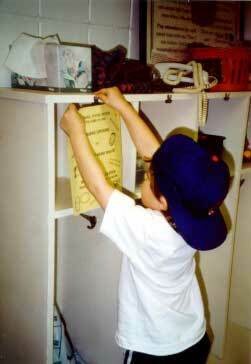 Jeff (4.9 years) helped deliver invitations to all children's cubbies in our classroom. We also sent invitations through campus mail to people around the university who help the child care center in various ways. The refreshments committee decided to serve sugar cookies decorated as hairy heads, lemonade, and Hawaiian Punch. We used refrigerated sugar cookie dough to make the cookies. 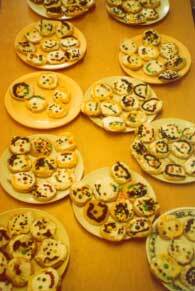 Once the cookies were baked, the entire class helped decorate the cookies. As you can see in the photos, the cookies were a highlight of the grand opening! Luke (3.5 years) added blonde hair to one of the cookies he was decorating. The children did a fantastic job decorating all the "hairy heads." They look good enough to eat! We made a list of the jobs that would need to be done the day of the grand opening. The children each volunteered for a specific job. The jobs included acting as greeters at the door who passed out brochures explaining our project, workers at a name tag table (the name tags were heads designed by the children), workers at the door prize entry table, refreshment servers, tour guides in the hair salon, and workers who drew names and passed out the door prizes. Ian (4.2 years), Marie (4.8 years), and Anne (4.2 years) greeted our guests with cheerful smiles (although they did say they got tired of standing!). They handed out brochures explaining our project. The children helped dictate the text of the brochure. Kathy (4.11 years), Diane (3.10 years), David (3.9 years), and William (5 years) were ready to give tours of the Hairy Head Salon. Jeff (4.9 years) and Colin (5.8 years) encouraged visitors to sign up for door prizes. 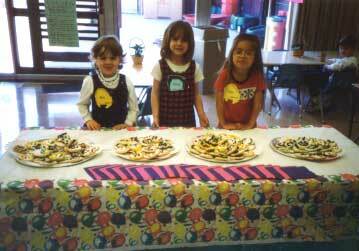 Peggy (3.7 years), Laura (5.1 years), and Nancy (4.9 years) waited anxiously to help serve our guests refreshments. Hilary (4.9 years), Mary (3.11 years), and Morgan (4.9 years) posed in front of the door prize table. 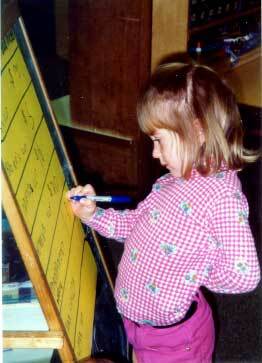 Their job was to draw names and award door prizes to our visitors and to the children. Brochure of the Hairy Head Salon. One morning in February, a number of children came in with new haircuts. This prompted a very involved discussion about hair, hair cutting, and hair salons. Thus, a project was born. During Phase One, we had a number of interesting discussions about hair cutting and hair salons. The children conducted a hair color survey, drew faces and hair on a bulletin board display and graphed the number of hair salons we found listed in the yellow pages. Chris, one of our teacher's aides, arranged to have his mother come to the center to cut his hair. 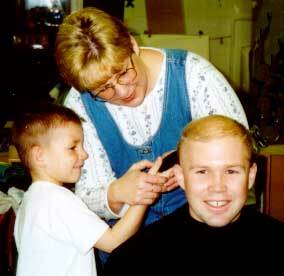 Tina, a hair stylist by trade, let each of the children help use the clippers on Chris' hair. She brought along a number of hair styling items to talk about. She also brought along two antique curling irons and an antique hair clipper. The children changed the dramatic play area into a hair salon. They used their prior knowledge of hair salons to guide their design and room arrangement. The teachers arranged visits to Fox and Hounds Hair Studio and Creative Cuts hair salon. The children divided into the following investigation groups: Bathroom group, Scissors group, Cost group, and the Mirror group. One group of children decided to investigate Old Tools. We set up a visit to Henry Wellington's restaurant to see an old barber chair and an old permanent wave machine. After our fieldwork, each group represented the information they learned. The Bathroom group built a bathroom in our child care hair salon. The Mirror group made a poster. The Scissors group wrote a book about scissors. The Cost group made signs showing prices from both hair salons we visited. We used these signs as guides to create a price chart for our dramatic play hair salon. The Old Tools group built a replica permanent wave machine. 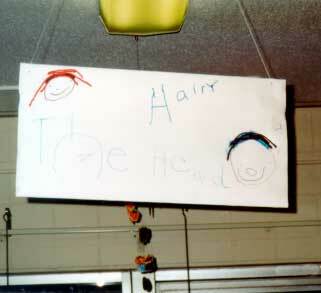 The children chose a name for our hair salon: The Hairy Head. They decided to have a grand opening to culminate our project and share all our work with family and friends. We foamed committees for decorations, door prizes, refreshments, and invitations. 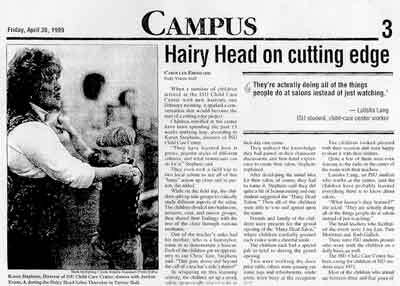 The Grand Opening for the Hairy Head was held on Thursday, April 29, 1999. A special thank you to the following businesses for donating door prizes. After the grand opening, we received a few cards congratulating the children on their work. The local newspaper and the campus newspaper published articles with photos of the event. The children continued to play in the Hairy Head Salon until the end of the semester. A view of the Hairy Head Salon from the entrance to the dramatic play area. The large crate behind the mirrors is the bathroom. The children and teachers all felt such a sense of accomplishment at the end of this project that the grand opening was a true celebration. We had a lot of fun planning the event with the children. 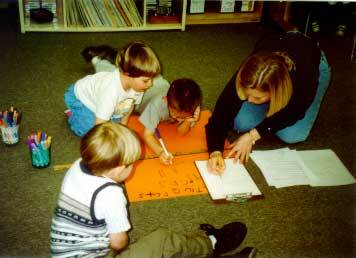 They had become so adept at working together in small groups that the committees ran very smoothly. The grand opening took shape in a very short time. Often, setting up and actually surviving a big event in an educational program is stressful for the adults and the children because the normal flow and routine are interrupted. Amazingly, the children and the teachers survived our grand opening and were left with a sense of satisfaction. We were able to continue the rest of our day with no adverse effects on teachers' patience levels or the children's behavior. Project work is so powerful! The teachers were very pleased with this project. The children learned a lot about working in groups and sharing ideas. We felt the fieldwork was very productive because of all the pre-planning that the teachers and children did. The children were able to apply the knowledge they gained during fieldwork in a variety of ways. Each group chose to share their information using different methods and different media. The project provided many opportunities for children to use a variety of skills and helped reinforce basic skills and concepts. This project left a lasting impression on the children, teachers, and parents. The project was an experience that helped the children develop some good learning dispositions. The teachers finished this project feeling they had gained a better understanding of project work and how to support projects in their classroom. We developed some very good team planning skills. We all agreed that this was one of our most successful projects. One parent even asked if we were going to create a business the next semester! Barb Gallick is a head teacher at Illinois State University Child Care Center. She co-teaches with two other head teachers in the mixed-age classroom serving children ages 3-6 years. Barb has a B.S. in Elementary Education with a minor in Early Childhood Education and a M.S. 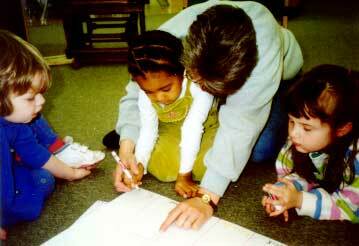 in Curriculum and Instruction with an emphasis in Early Childhood Education. Barb continues to learn about the Project Approach and the Reggio Emilia Approach. She has been a member of the organizing team that coordinates the Illinois Project Support Group.